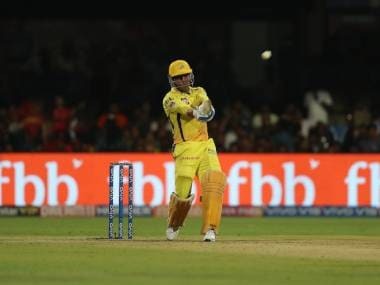 The much-awaited season opener between Chennai Super Kings and Royal Challengers Bangalore turned out to be the worst possible advertisement for the glamorous mega event. In all the media blitz and hype ushering in IPL season 12 someone forgot to tell the folks running MA Chidambaram Stadium that T20 cricket was a batsman’s game and that they too needed to get their act together to ensure it. Instead, they dished out a disgraceful pitch which made a mockery of the very essence of T20 cricket. 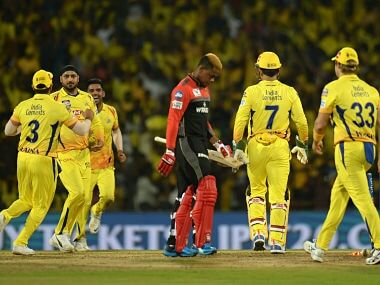 In the process the much-awaited season opener between Chennai Super Kings and Royal Challengers Bangalore turned out to be the worst possible advertisement for the glamorous mega event. Dhoni at least could draw on the benefit of having played a practise match on the surface a couple of days earlier. He capitalised on it by packing his playing eleven with as many Indian players as he could, reckoning that they had a better chance of success on this sort of a rank slow turner where the ball stopped on the batsman. His limiting the team to only three foreign players (as against the four permitted) was a dead giveaway of the state of the pitch and the sort of approach it called for. He had leg spinner Imran Tahir and the two all rounders Dwayne Bravo and Shane Watson to strengthen a bowling side awash with spinners. 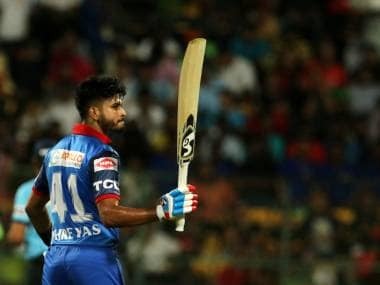 He could throw an all-spin attack at the opposition, if he so wished, for besides Harbhajan Singh, Ravindra Jadeja, Tahir and Suresh Raina who turned their arm over, the skipper also had Kedar Jadhav in the ranks. It was a reflection of the nature of the pitch that his pace bowlers Shardul Thakur and Watson did not bowl a single ball while Bravo did just that – bowl one ball. That one ball accounted for RCB’s top scorer and the only one to get to double digits, Parthiv Patel. Had this been a Test match it is almost certain that the condition of the pitch would have incurred the wrath of skippers, umpires, match referee and ICC. Instead all other franchises would now be on alert. Besides, the IPL Governing Council would also wonder if this is the sort of pitch on which they want to showcase the season’s IPL final. Sources with an intimate knowledge of the stadium and its pitch said that the pitch of late was under the control of groundsmen and not any curator. A visiting curator came just days before a match but in the short time available could not grow grass to bind the wicket. Thus, within a few overs the surface of the pitch deteriorated to resemble a fifth day Test pitch rather than a firm and ideal T20 one. 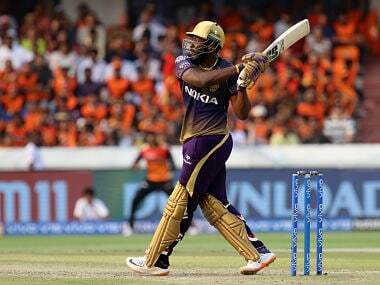 This was a shame for T20 cricket is all about power hitting where sixes and fours are the very essence of the game. However for that, besides a shortened boundary, the organisers have to provide a firm pitch that encourages stroke play. 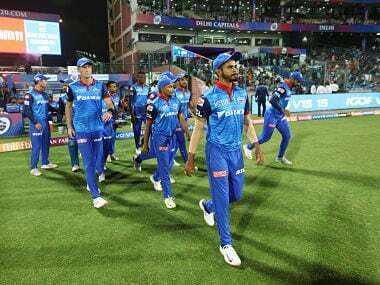 Instead, the opening match featured just two sixes and nine fours while spinners Tahir (4-1-9-3) and Yuzvendra Chahal (4-1-6-1) returned dream spells. It is a pity that there ought to be so much emphasis on the pitch on the very first day of the IPL. But when you have a situation where world class batsmen like Virat Kohli, AB de Villiers, Moeen Ali, Shimron Hetmyer, Colin de Grandhomme and Watson, who have excelled all over the world, collectively look so out of depth you could bet that the pitch had queered their show. RCB must also be sore that they got everything so wrong. Forget about packing the eleven with so many foreign batsmen (ABD, Moeen Ali, Hetmyer, Grandehomme) who could be expected to be clueless on this surface, they also left out two ideal spinners, Washington Sundar and Pawan Negi. But even their presence might not have helped unless the team made at least 110, which Kohli claimed was a par score on the pitch. 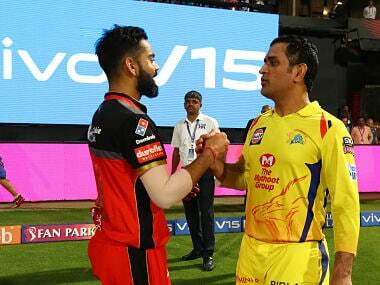 For the record, RCB put in to bat, were bundled out in 17.1 overs for 70 with veteran Harbhajan (3 for 20) accounting for Kohli, Moeen Ali and de Villiers. 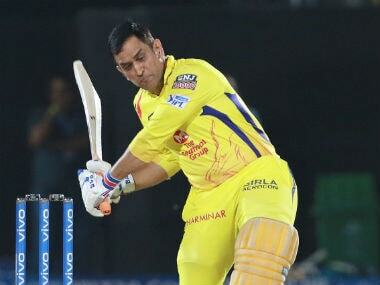 CSK made heavy weather of the small target. They lost three wickets and pottered around before getting across the line in 17.4 overs. The result might have gone well for CSK but if ever there was an example of winning ugly, this was it.